This post is in partnership with Mom's Meet and may contain affiliate links. butter and almond milk. Sometimes I throw in a few frozen berries too. just love it. 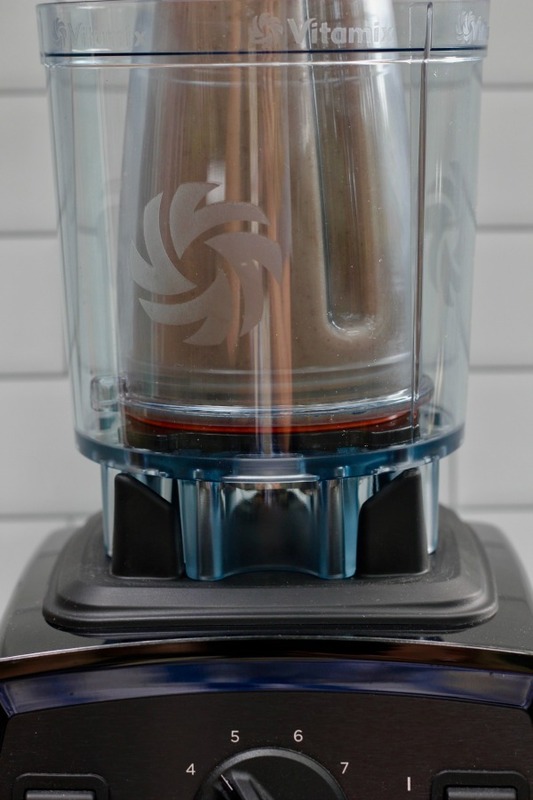 It makes homemade salsa, sauces, milkshakes and more in just seconds! 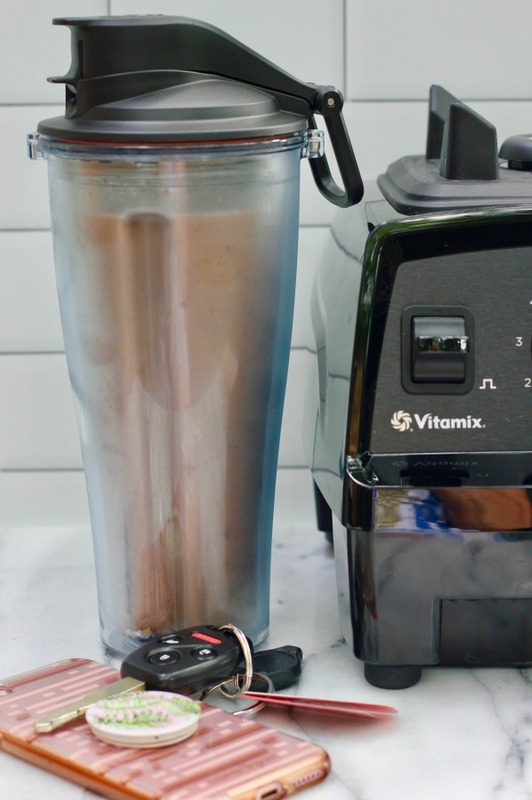 as a nut butter kit and it has been a game changer for my busy weekday mornings! in 30-60 seconds - no disassembly required! The dual-purpose container with lid doubles as a drink cup and blender container. Double wall insulation keeps my smoothie nice and cold on my drive to work. adapter. I can't wait to try her recipe! What's your go-to morning smoothie? Let me know in the comments below! blender by using the promo code MMVITA2018. Offer ends December 31, 2018. 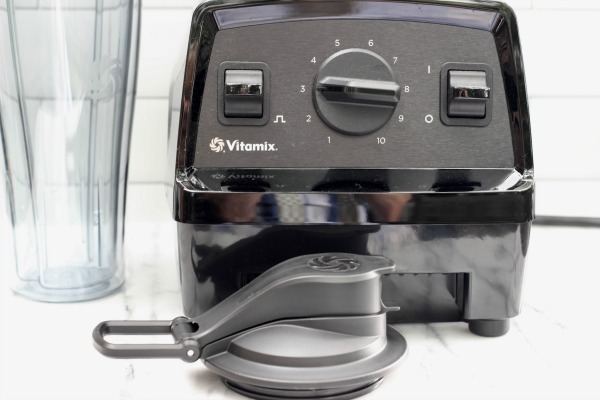 Combine all ingredients in the cup adapter of a Vitamix. 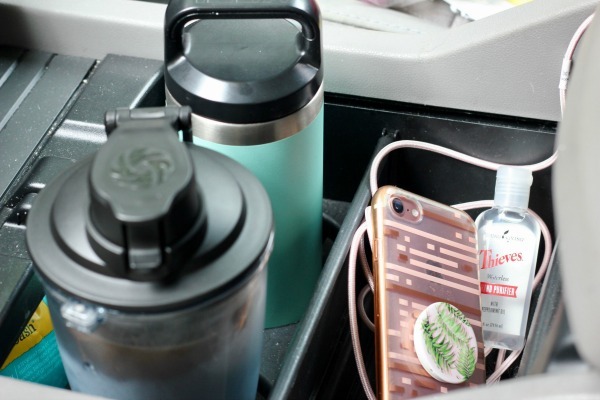 Top with travel lid and enjoy a smoothie on the go!